We can help. Our marketing plan is second to none. Since 84% of all home searches start online, we saturate the Internet with your listing by adding your home for sale to over 30 different websites guaranteeing maximum exposure. In today's market, you don't have time to hope that buyers find the sign in your yard. Most people you know are looking online just like you were when you found us. As the price of gas goes up the odds of buyers just driving by gets even smaller. 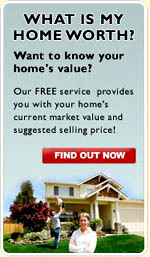 We advertise your home on the Internet's hottest real estate websites including Google.com, Yahoo Real Estate, AOL Real Estate, Homefinder.com (Courier-Journal's Real Estate Ads), Trulia.com, Zillow.com, Facebook.com, MySpace.com and many more. We also will be doing a series of open houses until your home is sold. Market data for your neighborhood is available click here. Things to do to get the most for your home in today's market. To quickly sell your home and insure the highest price possible, it will take a team effort. There are three basic elements of the sale that you control. They are: Appearance • Appeal • Atmosphere that are created for the showing presentation. Here are some thoughts on each. •Low volume, tasteful music will help make a prospect comfortable. •A pleasant aroma (such as a scented candle) is helpful. •The dining room table prepared. •A fire in the fireplace. •Abundant natural light in the home. •Clean and prepared entertainment areas. Remember, the buying motivation for your home is going to be created by some particular feature that excites and stimulates a buying decision.Accentuate the most positive features of your home. We will discuss with you in detail how we will want to present your home. Here are some things you may want to consider. Are you letting enough sunlight in? Is all of the home's space easily accessible? Is a "spring cleaning" needed? Are your closets clean and decluttered? Does your home have a pet smell or other odor? Are the focal points prepared for showing? Is the garage clean and clutter free? Do the outside amenities show well? Have your pets damaged the yard or carpet? Your home is now a model-does it show like one? As you know, you "will not have a second chance to make a good first impression". Because you are living in your home, you may not see it through the same eyes as a prospective purchaser. It is for this reason that we encourage you to refocus on some of the small details. Your review of the suggestions and attention to needed improvements is greatly appreciated. For your convenience, here are a few items you may want to review. How does your front door and entry look? How do your interior walls look? Are the kids rooms and play room in need of touch-up paint? Do you have any burned out lights? Are your bathroom floors and tile clean? Are the carpets and wood floors clean? Is the exterior of the home in need of paint? Give us a call at 502-821-3062 if you need help with any of the items listed above.